Google has finally told developers that from today they're, "now able to upload screenshots of your app running on 7″ and 10″ tablets to the Google Play Developer Console," something which gives people with tablets these pictures instead of the phone screenshots. 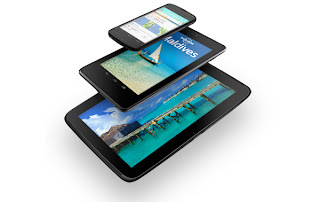 It seems that Google is finally turning to their Android eyes towards tablets as Google I/O approaches! Check out the AndroidDeveloperBlog here for more information. Samsung appear to have delayed the UK launch of the Galaxy S4, unless you pre-ordered the device! The delay is only a day, so you can pick it up on Saturday instead of Friday! The Inquirer spoke to the Samsung store in Stratford and we're not sure if the issue is wider than that at the moment. T-Mobile UK are in trouble with the Advertising Standards Authority for their use of 'unlimited' to define the internet on their Full Monty tariff. The ASA took issue with the way the company insisted on peer-to-peer limits during 8am and 2am each day. At the moment T-Mobile are excluding tethering from the plan for new customers! Amazon have announced that they will be extending the availability of their app store from the seven countries they currently operate it in to nearly 200 in the coming months! Now where's that Amazon phone got to? Calling all Sony Xperia Tablet S owners! Get yourself ready if you live in America, Canada or South America because tomorrow morning Sony will unleash an OTA for your device which will give you Android 4.1.1 Jelly bean at long last! Microsoft and Hon Hia, the parent company of Foxconn have penned a new licensing deal for Android and Chrome OS devices! There can't be too many more people who Microsoft needs to sign up any more! Sony Mobile have announced that the latest software update for the Xperia V has fixed all of the past 'sleep of death' issues which owners have experienced in the past. FunnyOrDie have posted a new mockumentary about Steve Jobs. The show is aptly named iSteve and there's not much to it other than the desire to make you laugh. If you're interested in the show you can check it out here! Nintendo have confirmed the spring update for the Wii U which was promised wil arrive next week! HTC's new flagship, the One, has been getting fantastic reviews from around the web, but it seems as though one person won't be giving it full marks! The review device for one person has developed the strange issue which we see below. It's not known whether the issue affects more than just this single device, but for the moment we'll assume it's an isolated incident! And finally, what can you do if you have 10,000 iPhones and a fair bit of free time? Dominos! The video below is a pretty cool stunt!